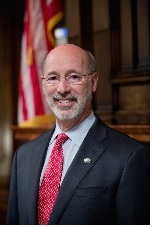 Harrisburg, PA – (RealEstateRama) — Last year, Governor Tom Wolf challenged all commonwealth agencies and communities to reduce veterans’ homelessness. Today, the Governor, along with Brig. Gen. Tony Carrelli, adjutant general of the Pennsylvania Department of Military and Veterans Affairs, announced that more than 2,200 homeless veterans have been placed in permanent housing in the past year. Pennsylvania’s numbers, which are tracked and confirmed by the U.S. Department of Veterans Affairs’ Veterans Integrated Service Network (VISN 4) Homeless Coordinator, show that as of July 31, 2016, 2,260 homeless veterans in Pennsylvania were placed in permanent housing since Sept. 22, 2015. Numbers for August 2016 are still being tabulated and the September 2016 numbers will not be out until October. The challenge, officially known as the Mayors Challenge to End Veteran Homelessness, is an initiative of the U.S. Department of Housing and Urban Development (HUD) that was launched in June 2014. It was conceived as a means for local leaders to create and coordinate strategies to curb veteran homelessness. In early 2015, HUD conducted a point-in-time count which identified approximately 1,400 homeless veterans in Pennsylvania. Across the United States, mayors, governors and county executives are currently participating in the challenge. For more information about the challenge, visit the Mayors Challenge to End Veteran Homelessness. To keep up to date on programs and services benefiting Pennsylvania veterans, follow DMVA on Facebook or Twitter. Tom Wolf is a different kind of leader, and he has been a different kind of governor. Tom grew up in a small south central Pennsylvania town in York County and still lives in the house he was brought home to from the hospital. Tom left York County to attend college at Dartmouth, but he interrupted his studies to join the Peace Corps and served two years in a small village in India before returning to finish his undergraduate degree. He later earned graduate degrees from the University of London and the Massachusetts Institute of Technology.